I’m an active person. The joke in my family is that I don’t know what our sofa feels like because I never sit down. Not only does my energy and activity level pertain to my physical body, but also to my mind – I’m always thinking and processing. Sounds exhausting? It can be. Recently I have implemented the daily practice of meditation in my life and it’s helped me tremendously. Learning how to be still and present has been a path to more peace, joy, creativity, security and clarity. Now I see meditation as another way to be healthy and live my best life. I started meditating with Deepak Chopra and Oprah’s free 21 Day Meditation Challenge. After that challenge I was hooked. I won’t say that it is always easy. Some days my mind wanders the entire time I’m meditating, but even so I still think there is value in sitting still and being fully present in my body and mind with awareness and without judgement. 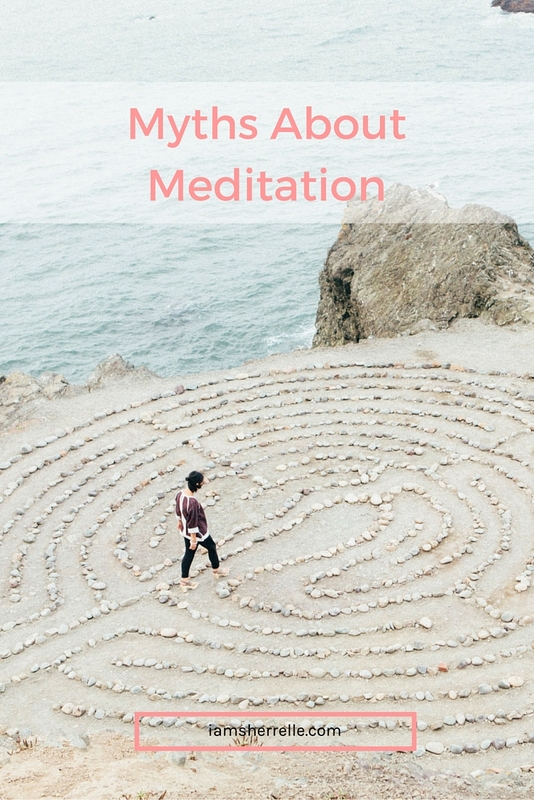 If you don’t meditate yet and have some reservations, maybe I can help dispel some myths about meditation. I am no expert by any means, but this is what I have found to be true. Myth: I need a special meditation room. Truth: You just need a quiet place. I mediate in my living room, on the sofa (I am using the sofa!) or in my bedroom on a chair. And “quiet” does not mean that you will not hear any noise. My home sits on a busy corner, so no matter where I am, I hear traffic noise. During meditation you will hear noise, but the goal is to not let it become your focus of attention. Just let the noise be without any thought or judgement. If noise is particularly distracting to you, you can listen to white noise or music while you meditate (there’s an app for that, try Noisli). Mostly I meditate without background noise, but I did like the soft Zen music playing during the 21 Day Meditation Challenge so I might try that sometime. Myth: Meditation is contrary to prayer. Truth: Meditation and prayer are not at odds – they are complementary. I still pray a prayer of thanks every morning before my feet hit the floor and a longer more intentional prayer before or after I meditate. I forgot where I heard this, but it’s a good answer to the meditation vs. prayer quandary: Prayer is when you talk to God and meditation is when you listen to God. How can you even listen to what God is trying to tell you if you won’t sit still long enough to hear it? Truth: There is some form of meditation in most spiritual practices, although it may be called something else. In Christianity it is called Contemplative Prayer or Centering Prayer. Don’t get hung up on labels. If you feel more comfortable saying “I’m going to sit now and be still” then say that. But the key is having intention around being still. You are not going just sitting still to relax your body, you are actively relaxing and focusing your mind. You are mindfully being present. 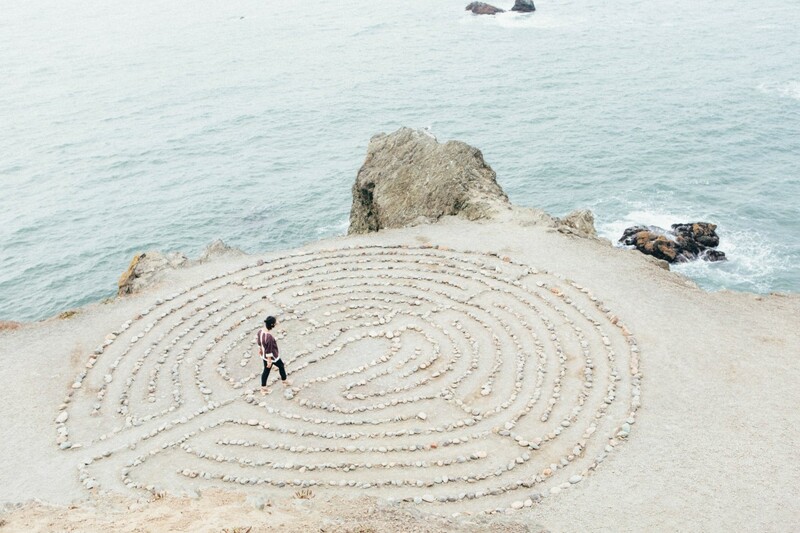 Myth: I need to say a mantra while meditating. Truth: There is no right or wrong way. A mantra may be helpful to bring your focus back to the present moment (if you are concentrating on a mantra then you are not thinking about what you’re going to cook for dinner) or it may be distracting or not useful for you. Do what makes you feel comfortable. Personally I like to focus on the rising and falling of my breath in my meditation, although I did enjoy saying Deepak Chopra’s mantras during the 21 Day Challenge. Myth: I don’t have time in my day to meditate. Truth: We make time for what’s important. I find that I need about 15 minutes to stop hearing noise and being distracted by my thoughts before I transfer into another zone, so a minimum of 20 minutes is ideal. But start where you are; if you can only meditate for 10 minutes, start there. I hope that I helped bring you closer to starting a meditation practice of your own. There is no shortage of information out there, but here are some resources that I have used. If you have any questions or suggestions, please let me know! Success Through Stillness: Meditation Made Simple by Russell Simmons. Russell really breaks down meditation in an easy non-threatening way and he gives very practical examples of how meditation helps him in all aspects of his life. Deepak Chopra’s website is a wealth of information. Look out for another free 21 Day Challenge or there are plenty of guided meditations for sale on the website. I really enjoyed Deepak’s guided meditations during the 21 Day Challenge. He helped set the intention for that day and I always learned something new or got a new insight. Headspace: This is a good app for a beginner because it explains the benefits of meditation in cute animation shorts before each guided meditation. The first 10 sessions are free and then a subscription is needed to access more guided meditations. Mindfulness: This app has both guided and silent meditations. I like that you can personalize your meditation by length and also add bells. buddhify: My son really likes this app. There are many guided meditations for different situations (traveling, going to sleep, walking) and also a solo practice with a timer. Ananda – Living In Love, Infinite Abundance: these are two different apps, both by the Chopra Center. Within this app you are able to choose background music and combine the music with a guided meditation. All the music downloads are free, but the app only comes with one free guided meditation; the rest have to be purchased within the app. I haven’t used this yet, but because I did enjoy Deepak’s 21 Day Challenge so much, I can see the value of purchasing the guided meditations. Footnote: I was going to end this blog post with the word Namaste – a word often spoken at the end of yoga class and meditation loosely translated to mean “the divine (or God) in me honors the divine in you” – but then I thought better of it. Even though I just bought a t-shirt that says Namaste Everyday because I liked how it fit, as a Christian – a believer of Jesus Christ as the the son of God, – how do I really feel about that word? I am very clear that meditation is good for me and not contrary to my Christian values. I view meditation as an opportunity to be still and present enough to hear from God – not “The Universe” or “Divine Being” (although he is all all those things), but God with a capital G – The Great I Am, The Alpha and The Omega. There is no question about the intention of meditation for me.